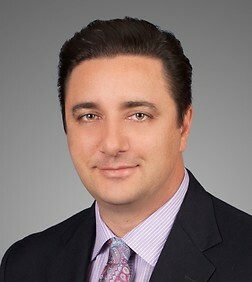 Michael D. Orlando is a corporate and intellectual property transactions attorney in the firm's San Diego (Del Mar) office. He is Team Leader of the firm's Technology Transactions Team. Mr. Orlando founded a software as a service (“SaaS”) business prior to law school and brings a practical, business-oriented approach to his engagements that focuses on problem solving. Clients trust and enjoy working with him because he looks to understand the business objective behind his clients’ decisions, focuses on what’s important, and works tirelessly to achieve those objectives. He is responsive to his clients’ needs and keeps involved throughout each transaction. Mr. Orlando advises clients on intellectual property development and licensing, outsourcing, joint ventures, mergers & acquisitions, venture capital financing, and commercial transactions, including international transactions. Mr. Orlando has particular experience in cross-border transactions in Europe and spent several months on secondment in Germany. He is a Legal 500 ranked attorney in the area of Media, Technology and Telecoms. Mr. Orlando’s cross-disciplines in both intellectual property and corporate law allow him to leverage both practice areas when structuring transactions for his clients, including the use of joint ventures and strategic alliances in the financing, development and licensing of technology. Mr. Orlando’s legal practice spans multiple industries, including software, hardware, medical devices, biotechnology/pharmaceuticals, healthcare IT, financial services, consumer products, sports equipment, apparel, telecommunications, aerospace, automotive, food & beverage, energy and real estate. trademark licenses, merchandising agreements, distribution agreements, endorsement/sponsorship agreements, marketing agreements, and sweepstakes/content agreements. Represented a drug development company in an asset sale, license and commercialization agreement with Mayne Pharma Group Limited (ASX: MYX) regarding an FDA approved dermatology product for treating plaque psoriasis. Represented R1 RCM (Nasdaq: RCM) in a strategic outsourcing agreement with Intermountain Healthcare to take over revenue cycle management operations for Utah’s largest healthcare system. Represented Shanghai Fosun Pharmaceutical Co., Ltd. in a series of strategic investments in U.S. diagnostic companies and related exclusive license, manufacturing and distribution agreements for the technology in China. Represented Heritage Provider Network in the intellectual property licensing aspects of a large joint venture with Trinity Health for population health management. Represented Atara Biotherapeutics, Inc. in structuring a joint venture with Amgen and Kleiner Perkins Caufield & Byers for developing innovative therapies for patients with chronic diseases. Represented Elcelylx Therapeutics, Inc. in a spin-off of assets into Nazura BioHealth, Inc. Represented Amgen (Nasdaq: AMGN) in a large number of transactions with CROs, universities and research institutions around the world for clinical trials of several novel drug candidates. Represented a publicly-traded pharmaceutical company in a series of development and manufacturing agreements (both clinical and commercial) in Europe and Asia. Represented Spy Optic in its licensing, endorsement, sponsorship, international distribution and manufacturing transactions. Represented Zeebo, Inc. in a joint venture with Qualcomm for the development of a video game console, as well as in its international distribution and licensing transactions. Represented Electronic Arts (EA) (NASDAQ: ERTS) in the license and development of mobile video game applications. Represented adidas AG in the sale of Taylor Made Golf Company, including all transition services arrangements worldwide. Represented Ingram Micro (NYSE: IM) in its intellectual property licenses and transition services arrangements for the acquisition the Odin Service Automation platform and associated cloud management technologies from Parallels. Represented Diageo plc in its transition services and supply arrangements for the sale of its wine business to Treasury Wine Estates Ltd. Represented DJO Global in the acquisition of certain medical device assets from Zimmer Biomet, including post-acquisition transition services, supply and licensing arrangements. Represented Aduro BioTech, Inc. in the acquisition of all GVAX vaccine assets from BioSante Pharmaceuticals, Inc. and related technology transfer and licensing. Represented Taylor Made Golf Company in the acquisition of Adams Golf, Inc. Represented Alcatel-Lucent (NYSE: ALU) in the purchase of a software solutions provider. Represented VF Outdoor (NYSE: VFC) in the acquisition of adventure travel gear company, Eagle Creek. Represented Rusty Surfboards and the majority shareholder in the sale of the Rusty surf apparel company and post-acquisition licenses and services arrangements. Represented emerging companies in connection with their convertible note and seed financings, and Series A preferred and later stage financing rounds, including Cameo, Nanomedical Diagnostics, Symic Biomedical, Atara Biotherapeutics, Dart NeuroScience, and Celula. Represented various inventors in connection with preferred stock financings, including Kleiner Perkins Caufield & Byers, Enterprise Partners, Accelerate-IT Ventures, Shanghai Fosun Pharmaceuticals, JAFCO, Nextech Ventures and Liquid Tribe. “Venture Capital Financing in the Life Science Industry,” Cal State San Marcos, Master of Biotechnology Program, Guest Lecturer, November 2012. “Legal Issues for Sports Start-Ups,” San Diego State University, Sports MBA Program, Guest Lecturer, 2011. "Increasing Income and Profit By Outsourcing Professional Help," ASR Tradeshow, Panelist, February 4, 2010. “Doing Business in China,” California Society of CPAs, October 22, 2009. “Financing and Managing Your Business in a Down Economy,” IASC Skateboarding Industry Summit, Panelist, April 4, 2009. “Bridging the Gap for Transactional Lawyers,” San Diego County Bar Association, Panelist, June 24, 2008. “Internet Business Agreements: Key Issues and Practical Advice,” Whittier Law School, Guest Lecturer, 2008. “Trials and Tribulations of Bringing a Product to Market,” CEO Strategy Forum (Connect), Panelist, March 27, 2008.